A gift of your life insurance policy can be an excellent way to continue your support for the cats at Carolina Tiger Rescue. If you have a life insurance policy that has outlasted its original purpose, consider making a gift of your policy to Carolina Tiger. 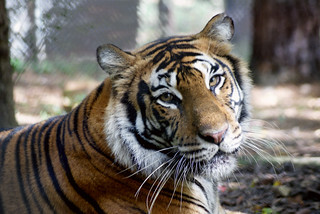 If you do include Carolina Tiger Rescue as a beneficiary of your life insurance policy, please let us know so that we may thank you and include you among our Sanctuary Stewards. For more information about making a gift through a life insurance policy to Carolina Tiger Rescue, please contact Heidi Zangara, Planned Giving Manager.